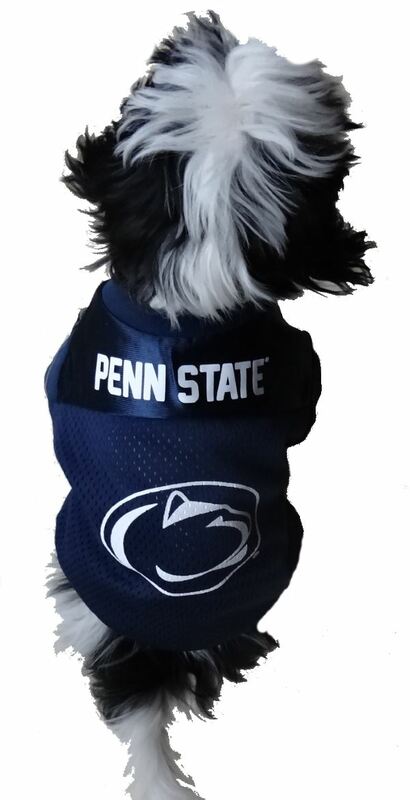 The Penn State Nittany Lions Dog Jersey will let your pets score big in comfort and style whether on the playing field or off. 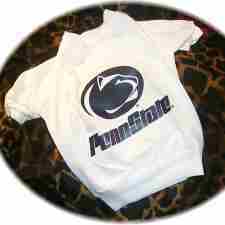 This Penn State Nittany Lions Dog Jersey is of the Pup Rally Brand and Pet Goods Manufacturing. 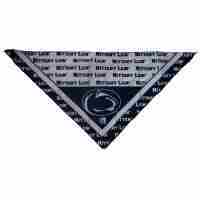 The dog jersey is made of quality, durable nylon mesh and comes in the traditional blue and white Penn State colors. 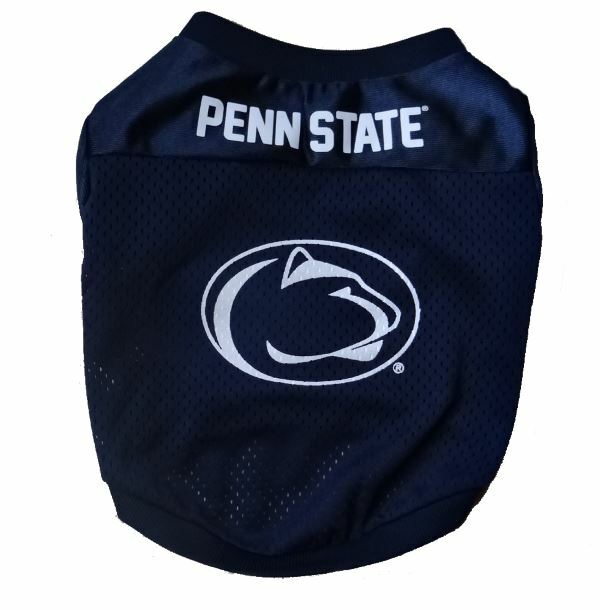 The PSU logo is on the back of this officially licensed dog jersey. 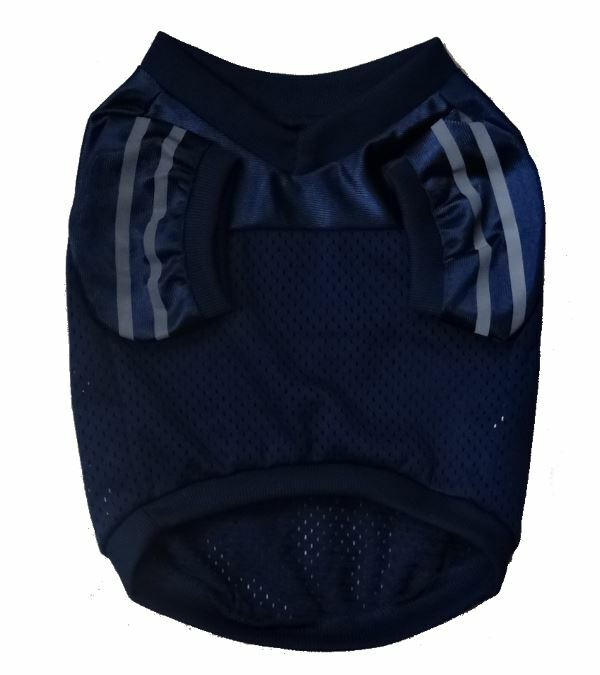 Measure the Length from collar line to base of tail.